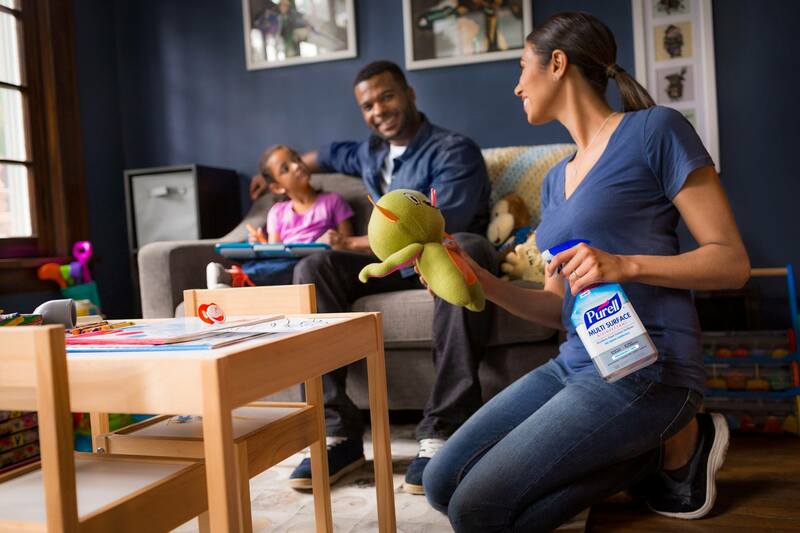 You may not know the name GoJo Canada but we’re sure you’ve heard of a product they invented, Purell! For more than 70 years, GoJo Canada has been using the best science available to develop solutions for skin and the surfaces people touch. They’re focussed on ‘Saving Lives and Making Life Better Through Well-being Solutions‘, resulting in healthier people and a healthy environment at home and away-from-home. GOJO is a company with deep roots in community responsibility and providing sustainable value. Last month, GoJo Canada donated 7 skids totalling 12,4445 Lbs in antibacterial products. GOJO also offers green-certified products and sustainable ways of working, read more about that here. Thank you GoJo Canada for being a brand For Canada! Purell products that come in handy at work or home. Especially during flu season!